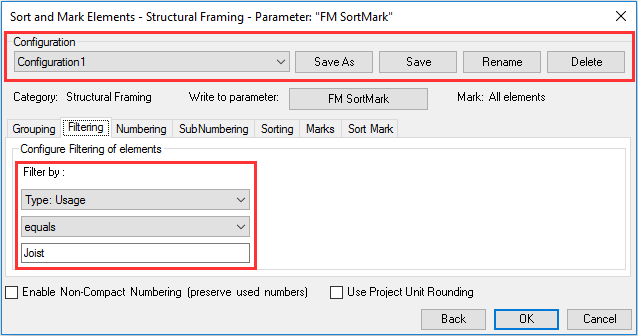 Sort Mark is a powerful tool AGACAD developed that can renumber graphical, architectural, and structural Revit® elements in many ways. It determines swing direction and orientation and adds them as properties, recalculates shared coordinates, and much more. While all that sounds great, it’s gotten even better with the latest release. Remember Sort Mark? Now it will remember you! In the latest version, you’ll be able to add a Configuration File’s Location. 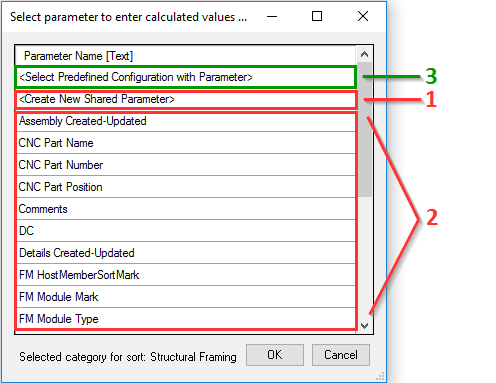 Moreover, Sort Mark will actually recall which configuration was used for which parameter (1). Also, it’s way more flexible, as it includes additional features for filtering (2), changing the selected parameter (3) into which you want to write a value, and taking a step back (4) in case you want to start all over again from the first step of choosing the desired category. What you’ll probably notice at first glance in the newest release of Sort Mark is that you’ll be able to add a Configuration Files’ Location. Sort Mark Configuration is a definition of Sorting and Marking parameters. 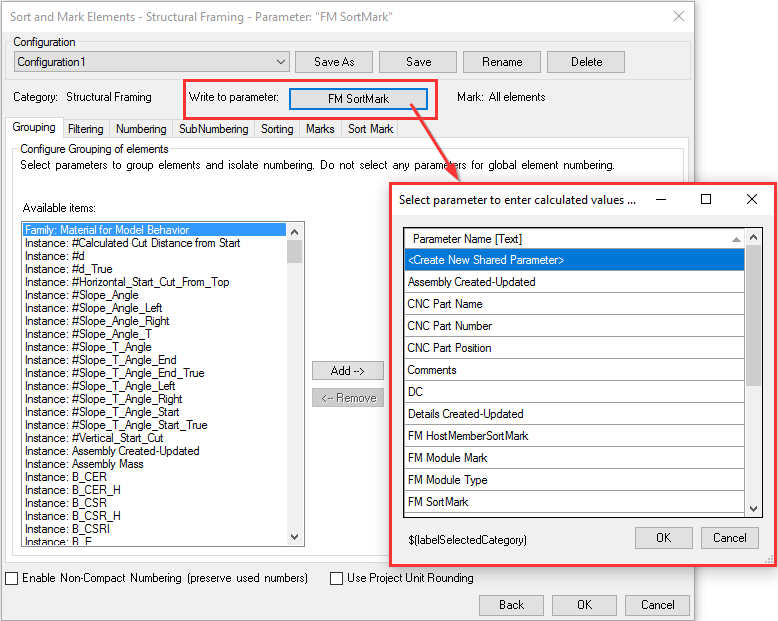 It allows you to configure and save settings by all sorts of criteria and rules for Sorting and Marking your Revit Elements – Walls, Floors, Roofs, Doors, Windows, Beams, Columns, Pipes, etc. – in a number of different ways. That’s why it’s such a versatile tool with thousands of different possibilities. The content from the Sort Mark configurations catalog can be copied to another user’s computer, if needed, or even put in a shared location, where all your colleagues can access it. As you may already know, one of AGACAD’s main goal’s is that our software tools would perform as much of the technical work as possible for you, leaving more time for you to focus on tasks that create value. With that in mind, another great thing regarding configurations is that from now on, Sort Mark will remember which configuration was used for which element’s parameter. 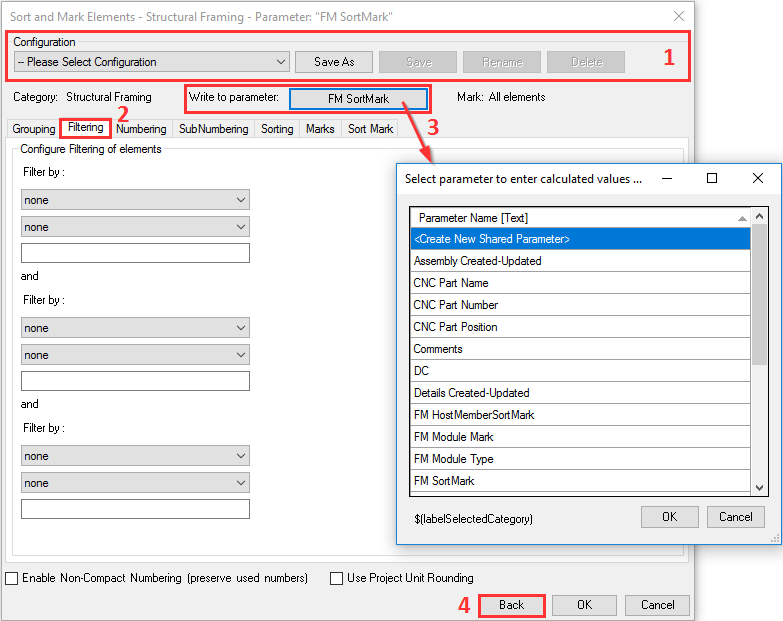 In this example, I chose to renumber the Structural Framing elements and enter the calculated value to the “FM SortMark” parameter, as you can see in the images. 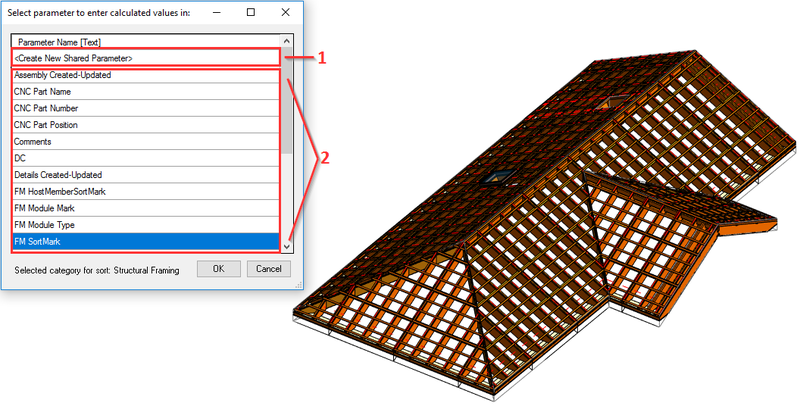 I created the configuration using the new “Filtering” feature and chose to mark all Structural Framing elements by Usage – Joist. I also chose the desired criteria for Grouping, Numbering, Sorting and so on, as I was able to do before. I saved my configuration by the name of “Configuration1”. Then, Sort Mark calculated and entered the value in the “FM SortMark” parameter for 233 Elements in 1 second! Now, remember that part about Sort Mark’s ability to remember which configuration was used for which parameter? …you’ll always know, which configuration was used for which parameter. And, if you change your mind, you can just change the parameter as well! Or, go Back and start all over again. ;-) Now that's flexibility! We invite you to download a free trial of Sort Mark to try it out for yourself! 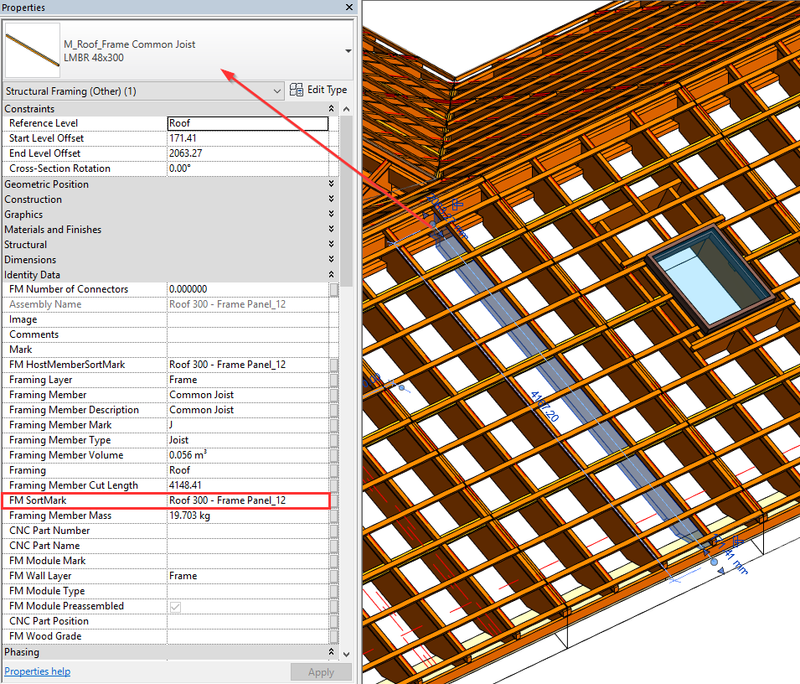 Just download the TOOLS4BIM Dock for your Revit version, open Revit, and select the tool(s) you'd like to trial. And don't hesitate to contact us at support@agacad.com for any assistance!